Look out – I found a GREAT chapter book! Very obviously, the story is about a little girl named Clementine, who just happens to be in the third grade, and her friend Margaret who constantly reminds Clementine that she is a whole year older and in the fourth grade. 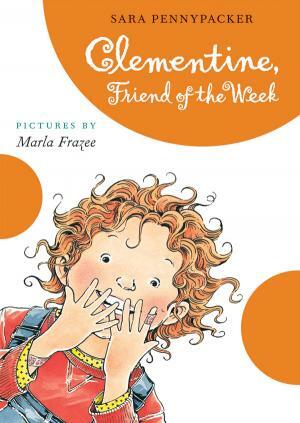 When Margaret was in the third grade, her class did “Friend of the Week” and now, Clementine is the new “Friend of the Week” in her class. The honoree must create a journal and her classmates write their thoughts about the person in the journal. This terrifies Clementine and the thoughts that run through her mind are charming and remind the reader of their own childhood. The differences between the two friends makes the story fun. Clementine is a bit of a tom-boy while Margaret is miss neat-nick – two little opposites who make a cute chapterbook – and this definitely works for bedtime reading. After reading this with my grand-daughters, I did a little research and found that there is a series of books about Clementine and of course we intend to read them all. Now, I feel like I need to preface with the fact that I am constantly in search of chapter books to read with my twin grand-daughters so, many times, I will be posting blogs on children’s chapter books. This is one such book. Fortunately, I read the book myself before I used it as reading material for the girls. The illustration on the cover was of a darling little mouse running with a needle and thread so I assumed the book would be something similar to the story of the mice making Cinderella’s dress. Boy was I wrong! The little mouse is actually running for his life and the thread is holding the needle to his side and he is using the needle as a sword – a far cry from the cute bippity-boppity-boo mice! 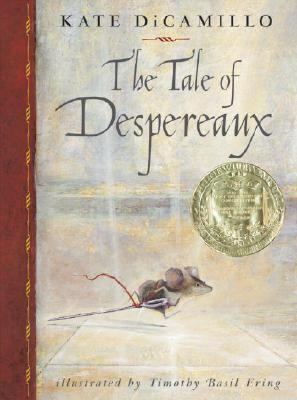 The little mouse on the cover was born in a castle in a time of desperation so his mother named him Despereaux. To tell you much more of this tale would ruin the story, so I will leave you with the thought that this story is one of darkness, soup, forgiveness, light, more soup, and love. I would caution you, though, that it is not one to use for bedtime reading with 6 year olds. Universal Pictures made a motion picture from this story and some day I will muster the courage to see it. I picked up this book at our annual book sale during National Library Week. 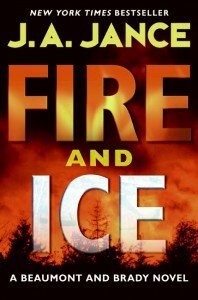 Fire and Ice is one of J.A. Jance’s many Beaumont and Brady novels. It’s my first book by this author. The two main characters are well-developed, rich and likable. Joanna Brady is a county sheriff in Arizona and J.P. Beaumont is a detective from the Special Homicide Investigation Team in Seattle. The book goes back and forth between two murder investigations. I thought that the transitions between the two locations and investigations could have been smoother. It takes readers at least a paragraph or two to figure out whether they are in warm, dry Arizona or cool and rainy Seattle. There are also characters and events that don’t contribute much to the story line. The parallel plots are brought together eventually, but the ending of the book is rushed and not very satisfying. I would not recommend this particular book if you are new to J.A. Jance. I have to admit when I was first told about The Hunger Games, my heart did not leap at the thought of reading a young adult novel that seemed to scream science fiction mixed with post-apocalyptic times. However, Hunger Games did not disappoint! Katniss Everdeen lives in the country of Panam in District 12. Katniss is a savvy hunter and barterer who has kept her mother and little sister, Prim, alive since her father was killed by a landmine. Every year the Capital of Panam has an event called the Hunger Games. Two children, ranging from ages 12-18, are chosen from each of the twelve districts to participate in the games. Each District is to choose a boy and a girl and send them to the Hunger Games, where survival of the fittest is tested. The Hunger Games, which are similar to Roman Gladiator games, are aired across the country so everyone can watch them. All is mostly fine in Katniss’ life, until Prim is one of those chosen to participate in the Hunger Games. Knowing that Prim would never survive, Katniss says she’ll take Prim’s place. A substitution in the Games is rare, but this one is accepted and Katniss goes to the Hunger Games for the ultimate test of survival. 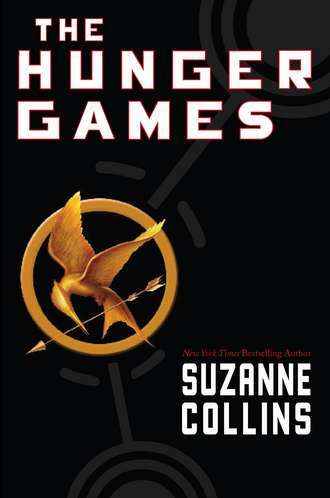 The Hunger Games is a thrilling read that is hard to put down. I highly recommend it for anyone interested in a “page turner.” Can’t wait to read the next book in the series, Catching Fire! I’ve only heard good things about both Neil Gaiman and this book so I’d been wanting to read it for a while. I really enjoyed it! It has me curious to check out some of Gaiman’s adult fiction now. The novel follows young Nobody (Bod) Owens as he grows up in a graveyard. His “parents” are Mr. and Mrs. Owens, two ghostly residents in the graveyard, and his guardian is Silas – a man who lives in the “in between” world, one of the undead. Bod arrived in the graveyard shortly after the murder of his family by the man Jack. He’s only “safe” while he remains in the graveyard, though it is full of it’s own interesting events and dangers. The reader watches Bod as he grows up and begins to question things that would lead him beyond the gates of the graveyard. After all, one can’t spend their whole life living in a cemetery. There is life to be lived, adventures to be led, and revenge to be had. . . But the man Jack has been searching for Bod ever since he escaped from his home as a toddler. Waiting to kill him in order to complete his job. It’s only a question of who will come out on top. . .
My library’s Women’s History Month display prompted me to check out this biography of Marie Curie. I read a few biographies of Marie Curie in the past. Of all of them I found this one to be the most satisfying. Marie Curie is the only woman to ever win the Nobel Prize twice, each time in a different discipline. I’m glad the book does not dwell too much on Curie’s well-known scientific accomplishments. It portrays Curie as an ordinary individual who overcame many obstacles. The book takes readers back to Marie’s native country, Poland (occupied by Russia at the time), details how she met her future husband and partner, Pierre Curie, in Paris, addresses her struggle to raise two daughters as a single parent, and discusses the scandal that almost ruined her career. This book presents a less glamorous scientist, focusing instead on a compassionate human being, daughter, sister, friend, wife, lover and mother. I’m also very impressed with the author’s extensive research for this book. I highly recommend Marie Curie: A Life if you like biographies or are a fan of the history of science and scientific discoveries at the turn of the 20th century. We all know who Paula Deen is, but this book is insight into her life as seen through the eyes of a man who is truly in love with the woman. From their unusal meeting, through an unusual romance, to their beautiful wedding. What a fun read! It’s all about a rough and gruff sea “Captain” meeting up with a blue-eyed southern beauty. Their crazy courtship ends up in a fairy tale wedding and the celebrity life she leads throws him for a loop. He, too, is an amazing cook, so now the question is, who makes the best chicken and dumplings ?? 🙂 I truly enjoyed this book from start to finish. I have always admired Paula Deen and the trials she has been through so it was a delight to see a side of her life that turned into an amazing friendship/romance. The bonus is a few of the Captain’s recipes, shared at the end of each chapter.